Panzanella is a perfect example of how simple, clean flavors can be absolutely spectacular when mixed together. It’s typically a summer dish thanks to the star of the show, tomatoes, but here in San Diego, summer never really ends. So Panzanella is year-round, which makes for lots of happy bellies. This recipe is from How Sweet It Is (perhaps the most beautiful blog in the foodie world) and it’s stellar. I switched it up by using an “everything” variation of french bread from my local grocery store (I’m sorry, bagels who?) and heirloom cherry tomatoes from trusty Trader Joe’s. 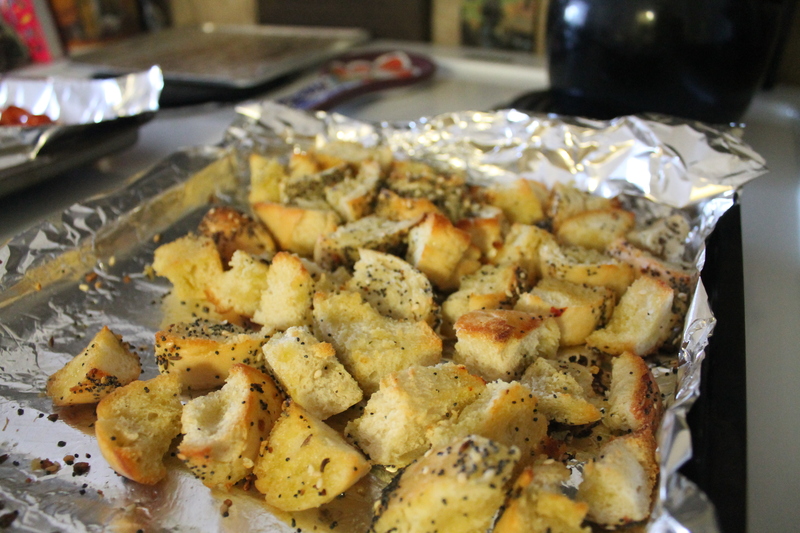 The bread, which is first roasted lightly, soaks up all those good juices from the roasted tomatoes. 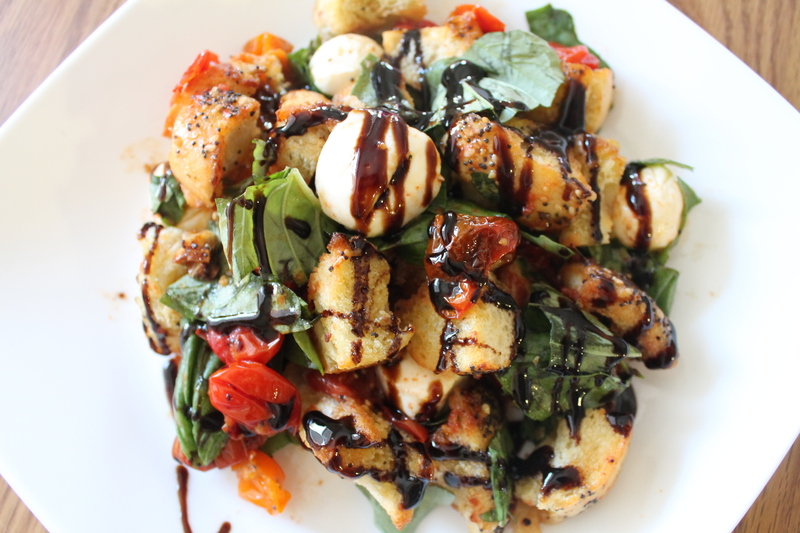 And all the salt is balanced by the creamy mozzarella and sweet balsamic glaze. Our good friend, basil, keeps things fresh. This is the kind of food Sunday afternoons are made of. Bonus: very little effort and dishes. 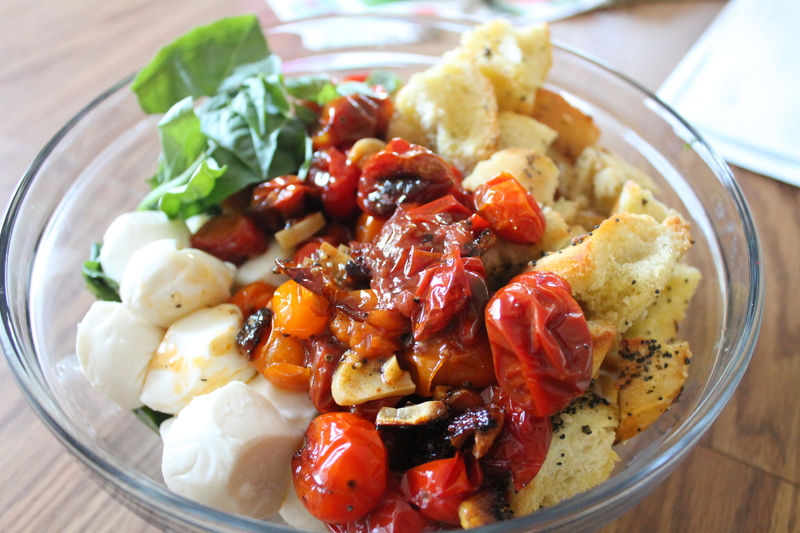 Head over to How Sweet It Is for the recipe and discover the wonder that is panzanella.